Like Proust’s madeleine, the bagel plunked without ceremony onto the tray in front of me brought a surge of memories flooding back. I was on the 9:20 a.m. train from Toronto to Montreal, returning for a visit to the place where I’d spent my salad days as an undergraduate at McGill University. 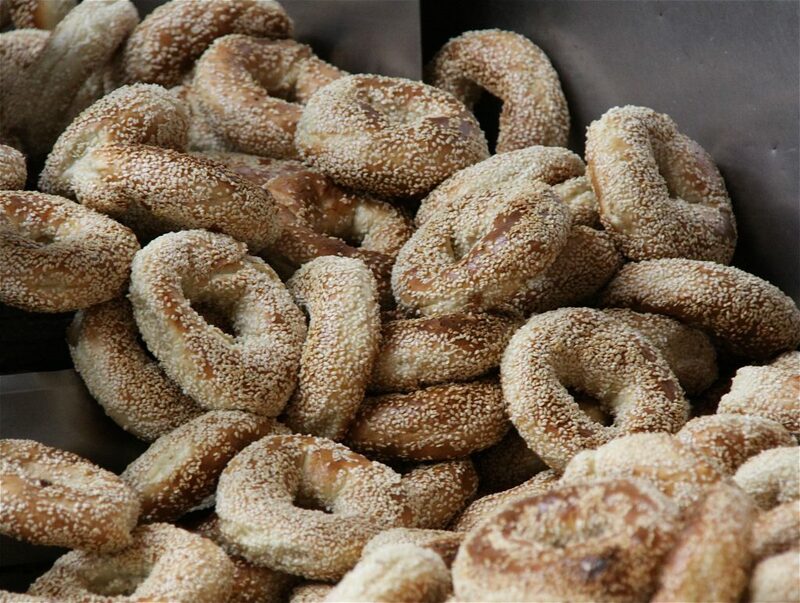 What could be a more evocative of the city than the chewy, sweetish tang of a bagel from St-Viateur? But as I munched on my first bites, it wasn’t Montreal that I remembered. Instead, it was a wedding in Ireland in 1998, the year after I graduated from McGill. One of the guests had flown in from Montreal, hauling two dozen bagels that she’d picked up from Fairmount Bagel on the way to the airport, at the request of the groom. Until that moment, I’d never realized the fervour that Montreal-style bagels inspired in their fans. In fact, though I was embarrassed to admit it, I hadn’t even bothered to try a Montreal-style bagel during my four years in the city. So, carefully setting aside my groomsman’s top hat and spreading napkins over my tuxedoed lap, I leaned into my first bite with anticipation. 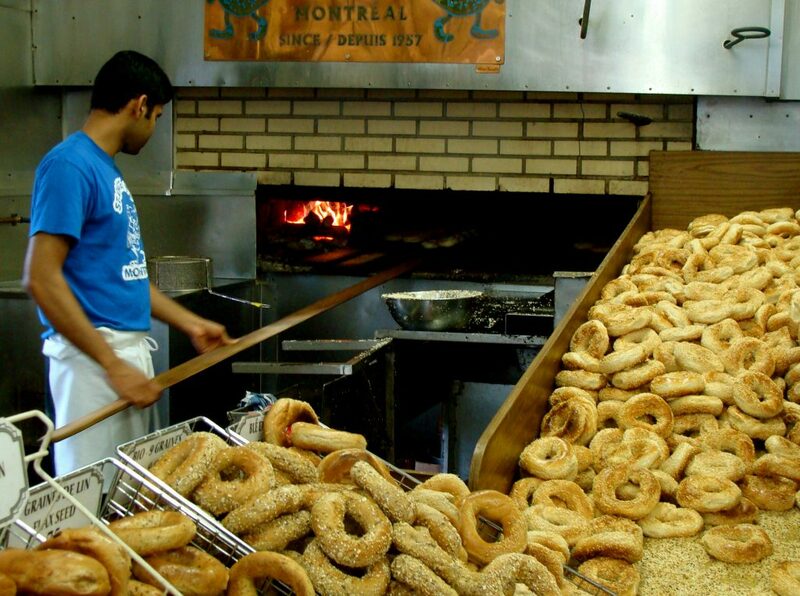 The problem, as Maria Balinka points out in her 2008 book The Bagel: The Surprising History of a Modest Bread, is that “a traditionally made bagel is past its prime after a mere five hours.” At Fairmount and St-Viateur, the duelling titans of Montreal bageldom, the bagels are hand-rolled and cooked in wood-fired ovens that stay hot 24 hours a day, 365 days a year—and when they emerge, they’re ready to eat right then and there. Stick them on a plane to Dublin or ferry them by train to Toronto, and that ephemeral moment of perfection, when the crisp outer sheen and soft, chewy centre are balanced in perfect harmony, has passed. In the blink of an eye, they’re stale. As a result, my Irish initiation left me a skeptic about Montreal-style bagels. Too dry, too dense, no raisins (forgive me, purists). But in the years since then, I heard again and again that I couldn’t possibly form a proper judgment until I’d tasted one directly from the source. 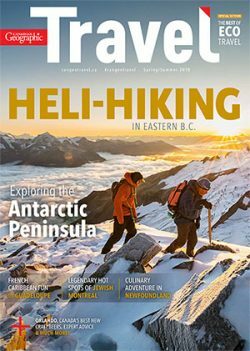 So, on a three-day trip to the city last November, I resolved to check it out. The freebie on the train was just a teaser; I wanted to try one still warm from the oven. The bagel’s true history is surprisingly hard to trace, despite a variety of charming (but demonstrably false) origin stories. As Balinka notes, ring-shaped breads that are boiled or steamed before baking turn up in a variety of cultures, from the Italian tarallo to the girde favoured by Uigurs in northwestern China. The bagel as we know it today emerged from the thriving Jewish community in medieval Poland. The word itself, which is thought to derive from the Yiddish beigen, meaning “to bend,” first appears in writing in a 1610 document prescribing how the Jews of Kraków should celebrate the circumcision of a baby boy. The names of the bakers who pioneered Montreal-style bagels are lost in the mists of time, but the predecessor to Fairmount Bagel Bakery opened in 1919 (though it later closed and only reopened in 1949). Fairmount’s website insists that this was the first bagel bakery in Montreal, but Balinka considers this claim highly implausible, given the thousands of Eastern European Jews already living in the city. St-Viateur Bagel Shop opened in 1957, and since then the two bakeries have been locked in a friendly battle for the loyalties of Montrealers. All this background info and hype was ricocheting around in my head as I headed to the Mile End neighbourhood, where Fairmount and St-Viateur face off, on my second day in Montreal. My first stop was St-Viateur, where a friendly baker named Saul Restrepo told us how he’d been recruited into the business back in 1981. “I was 16 years old, and I used to stop and get a bagel on my way home after delivering the Montreal Gazette,” he recalled. “Then one day, Joe, the owner, said ‘Hey kid, you want to make bagels?’” More than three and half decades later, he rolled dough into rings with a practiced flip of the wrist, dunked them in water, then shovelled them briskly into a cavernous oven. At full capacity, he said, the bakery churned out four dozen bagels every five minutes—each one made entirely by hand. My first bagel was still warm, bordering on hot, when I bit into it. It was chewy in a substantial way, unlike the spongy nothingness of supermarket bagels, but without the leaden density of the semi-stale Montreal bagels I’d had before. The sweetness I’d heard so much about was more of a rumour, an overtone that added a twist to the tang of the malted dough. It was good, even with nothing on it, something I never figured I’d say about an unadorned sesame bagel. I ate two—and then stopped, since I still had to check out Fairmount. Fairmount had a similar vibe, but more cramped, with a line that extended right to the door. I’m not really sure I’d be able to tell the two bagels apart in a blind taste test, and it’s probably not fair that I tried St-Viateur when I was hungry and Fairmount when I was partly sated. I liked them both, but it was the St-Viateur bagel that stuck in my head. The journalist David Sax, in his 2009 book Save the Deli, reports that when William Shatner sold his kidney stone for charity, he insisted that the winner import Montreal bagels and smoked meat for the Boston Legal set. That’s a bit extreme, but I could now see how stopping for fresh bagels could become a cherished ritual for Montrealers, and an object of longing for Montreal ex-pats. So it was that, on the train back to Toronto the next day, I unfolded the crumpled paper bag where I’d stored an extra bagel from St-Viateur. What better way to cap off a great trip than with a last bite of the city’s finest culinary creation, I figured. My teeth pierced the glossy crust and then shuddered to a halt, stuck in the leaden grip of a day-old bagel. For a brief moment, I was disappointed. But then I reconsidered. If you could really capture the magic of a Montreal-style bagel anywhere else, then what would become of its ability to evoke a sense of place? I chucked the half-eaten bagel in the waste bag, and began plotting my next Montreal visit.